Digression is as old as rhetoric itself. The ability to digress for a while before returning to a main topic or argument was praised by classical orators like Cicero, and skillfully-employed digressions have long been seen as a mark of eloquence and sophistication. Since it involves stepping onto another path, digression might seem to involve going off topic, but in fact it can be a creative and powerful way to stay on topic, by exploring echoes, tangents, and side paths. In digression, we might move away from something, but when it’s done well, we return in some way to where we began, inevitably changed as a result of our off-trail excursions. In this way, digression is all about adventure and exploration. Digressions in nonfiction can take many forms, including stories, examples, background, or scientific or historical information. Homer’s epics The Iliad and The Odyssey are full of digressive stories, and in his Institutio Oratoria, Quintilian commends digressive rhetoricians for their power to move and influence audiences. Subsequent centuries have seen a flourishing of the art of changing the topic. Michel de Montaigne, in particular, is famous for digressions that follow the whims and fancies of his imagination in order to explore what’s ostensibly his central topic, whether that’s cannibals or sadness, liars or smells. And many other writers, including Jonathan Swift, Laurence Sterne, Henry Fielding, Charles Dickens, Herman Melville, James Joyce, Virginia Woolf, Gertrude Stein, John McPhee, and Maggie Nelson, have explored the power of digressive rhetoric. Digressions increase the verisimilitude of the reading process, since they follow trails of thought and conversation in a natural-seeming way. They can, in this sense, increase the interactivity of a text, since they invite the reader along for a meandering and immersive experience of the writer’s thoughts. As Mary Paumier Jones says in her essay, “Meander,” “what essays do best is meander. . . . They proceed in elliptical curves, diverging, digressing.” In the process of following a digression, we get to know the writer: “we will, and very quickly, come to know the shape of our company––the mind, the sensibility, the person with whom we are traveling. That much seems necessary to essay structure––one individual human speaking to another who wants to listen.” Digressions, in other words, are an interaction between reader and writer, providing a space for participation and engagement. Creative nonfiction writers are increasingly experimenting with digression and interactivity, and this seems a wise strategy for engaging current and future readers. Digression inherently involves a kind of interaction between writer and reader, and this interactivity is beginning to feel necessary. Digression, after all, can be something that the reader does, as much or perhaps even more than the writer. We live in a distracted age, whether we like it or not, and this era has trained us to go from topic to topic, making up a relatively coherent narrative for our lives out of the fragments of our days. We read in this manner, too, focusing for a while on an essay or book before checking Facebook or Instagram or Twitter, or looking up a word, or exploring the history of a subject we’ve run across in our reading. Perhaps this also echoes the rise of digital and multimedia essays. This is not to confuse “distraction” with “digression,” certainly, since those are two different concepts. It is to say, though, that perhaps the impulse behind distraction is the same as that behind digression: we, as writers and readers, want to know something––the text, ourselves, our moment––more fully, and we follow whatever paths happen to open up. What forms might digressions of the future take? They might be variations on absence and white space. Texts without a central text. Choose-your-own-adventures. Games or game-like activities. Any number of improvisational, immersive experiences. The possibilities are as endless as the imagination of writers creating them. Let’s look first at the argument for using digression in nonfiction, and then we’ll discuss the ongoing evolution of digressive interactivity. 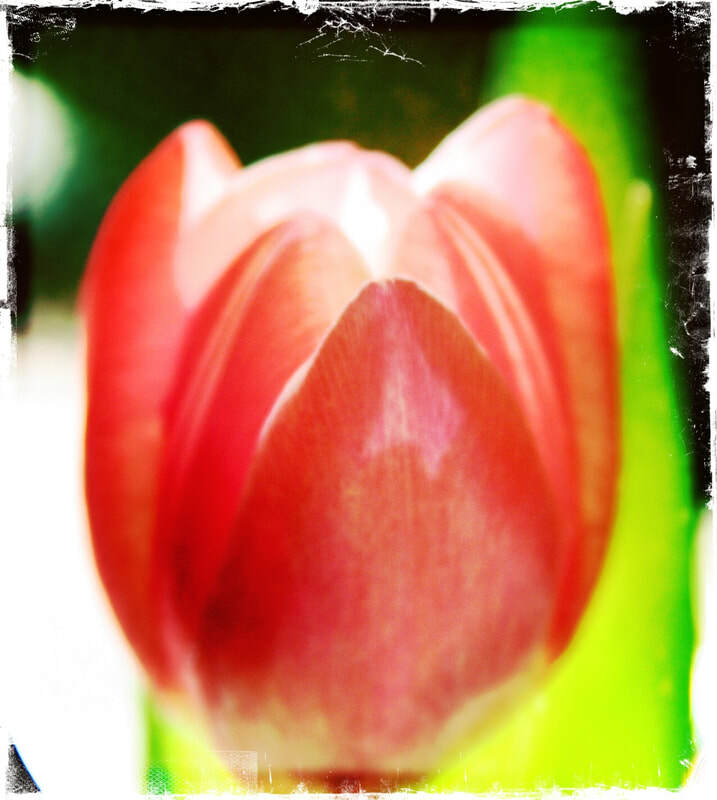 In her essay “The Art of Digression” in The Rose Metal Press Guide to Flash Nonfiction, Judith Kitchen examines the ways that digression can deepen and strengthen an essay. Digression, for Kitchen, is a vital method for expanding nonfiction’s territory––especially that of flash nonfiction, which must pack as much meaning as possible into a small space. As she says, digression is “a natural outflow of association, an aside that grows directly out of the material and builds until it has a life of its own––it is getting a bit lost on the way out in order to make discoveries on the way back” (119). In other words, effective digression is not simply changing the topic; rather, it grows organically out of a topic. The best kind of digression has its own logic. Reading nonfiction, according to Kitchen, almost inherently involves some degree of digression. As readers, she says, we end up “‘taking off’ from the essay at hand, reliving moments from our own lives, rephrasing our positions on issues, meandering into the world of our own thoughts even as we follow the course of someone else’s thinking. The reading process is far more interactive, more like engaging in a discussion. . . Thus, in a sense, we read to digress––to argue and compare and extemporize––as much as we read to ‘get there’” (119). Reading nonfiction is a digressive act, involving a conversation between writer and reader––a back-and-forth of ideas, images, and meaning. Digression, according to Kitchen, serves multiple purposes. First, it can “add dimensions to what might otherwise be a simple statement or observation.” Second, “it can help provide alternative perspectives.” Third, “it can provide pacing, deferring a moment of denouement.” Fourth, it “can leave room for readers to ‘enter’ the piece by bringing experiences of their own to the discussion.” And fifth, it “can become its own method of making meaning” (120). I’m especially interested in the interactive nature of digression. There’s something about artfully-done digressions, after all, that gives them a kind of verisimilitude, since we don’t think or talk in straight lines. Rather, we digress, and through our digressions we invite readers or listeners in as collaborators in the creation of meaning. Kitchen encourages creative nonfiction writers––and especially flash nonfiction writers––to aim for digression: “My advice is to court digression. To court those places in the mind that we usually shut out because they would appear to lead us astray. Let your conversation get away from you; let a new story take over; follow a mental argument to where it begins to eddy in the current of its confusion” (120). Through the process of writing, we can find ways that digression serves our purpose. As Kitchen says, “trust yourself to find the connective tissue––to make your new direction intersect with your old one” (120). The brain, after all, seeks to make meaning. Both the writer and the reader trust that meaning can and will be found, though it might not be obvious at first. Digression is not, almost by definition, obvious. It’s roundabout. It’s circumspect. And these characteristics are what give it its power. In a flash nonfiction prompt accompanying her discussion of digression, Kitchen offers several techniques for incorporating digression into one’s writing. In each case, she recommends starting with a description of a scene, and then using one of several methods to digress. The first of these is to begin the next section of the essay with a connective phrase like “that reminds me” or “I used to think.” The second method is to change the topic, either partly or completely. A third––what she calls a “tangential digression,” is to insert some white space and “then write something that refers to one detail in that opening paragraph” (121). Each of these methods will lead to different essays with a variety of tones and meanings, but each one, she says, “moves the piece from mere anecdote into the territory of idea and the realm of emotion” (121). Accompanying Kitchen’s discussion of this method are three essays of her own, each one starting with a paragraph about the calls that parents use to bring their children home. They’re powerful essays that demonstrate how digressions can deepen and change an essay’s tone and purpose. One digression, in a piece called “Time to Come In,” goes from the parental calls to the experience of the narrator with grandchildren. Another, “A Kind of God,” moves into an exploration of the narrator’s relationship with her scientist father. The third, “Night Calls,” explores several other calls and nighttime sounds, from coyote calls to trains. Taken together, these three essays are a moving exploration of the ways that digression can change the color and tone of an essay. By picking up on different words, concepts, images, and memories, these digressions swerve right into meaning. One reason digression is so powerful is that, in order to succeed, it requires active involvement on the part of the reader. As Sandra Schor argues in “Reclaiming Digression,” digression “unsettles the reader. It creates a new coherence by risking the available one for a limitless aside” (240). Schor points out that by definition reading is an interactive process: “In Hegelian terms, the pleasure of art is born twice, once in the in the spirit of the artist, and again in the spectator” (239). In this sense, the more interaction a text requires, the more pleasurable will be the reading experience it provides: “The experienced reader is . . . the flexible, imaginative reader, who through digressive adventures enlarges his or her capacity to make meaning” (240). Ultimately, according to Schor, “the digression is in itself an imaginative act” (240). In contemporary creative nonfiction, white space is, perhaps, one of the most powerful uses of digressive rhetoric. This might seem counter-intuitive, since white space is blank. There seems to be nothing there, digressive or otherwise. In fact, though, white space requires the reader to make connections, guess at meanings, and create a narrative. When, in Bluets, Maggie Nelson jumps from topic to topic, leaving white space between each paragraph, those white spaces allow the reader to make all kinds of conjectures, some of which could exist in the text––whatever that might mean, given the hermeneutics of interpretation––but many of which are, by necessity, created from scratch in the process of reading. And in that interactivity, there’s pleasure, and the potential for readerly engagement. As Dinty Moore says in “Positively Negative,” an essay on white space, “Readers are smart. They want to participate and want the pleasure of putting two and two together themselves, of making discoveries along the way––sometimes along with the writer and sometimes a step ahead of the writer” (186). In white space, according to Moore, via composition theorist Peter Elbow, there’s the “energy of the jump” (185)––the power to be had in making sense of something that is, literally, not there. Literary digression might continue to evolve by incorporating elements of gaming. The world of games––role-playing games, tabletop games, and video games––all, to some degree, emphasize improvisation and on-the-fly interaction between the creator of the gameworld and the participant. And this world, though distinct in significant ways from literature, might have some strategies to offer. As Ander Monson says in “Text Adventure,” an essay examining the relationships between gaming and literature, “one of the central pleasures of any game, graphic or textual, first person or third person, is exploration” (82). Like traditional forms of digression, gamified digression involves going off a prescribed path to find and make meaning. This exploration can be more or less controlled by a game designer, but it always involves some element of interactivity with the player. It’s at this point that we as writers might have something to learn from game designers. After all, the two activities––game-playing and reading––share significant similarities. As Monson says, “The reading experience is an experience of exploration of a created world. The question is how closely do you want to control your reader? What work do you want her to do? What work are you willing to let her do? Good readers like work. We like focused work, an when the writer’s made a thing meant to be interacted with, whether it’s trying to solve a crime or understanding the subtext of an evasive bit of dialogue” (85-86). Ultimately, Monson argues, “the writer might consider ways of importing game elements in their work, thinking of the reader’s experience as one requiring play, a fun but nontrivial effort, and carefully considering what work our texts ask or allow our readers to do, and how we motivate them to do that work” (89). It remains an open question the degree to which writing––and particularly nonfiction––can be interactive, but it’s worth thinking about. I’ve been getting into choose-your-own adventure novels lately, reading Ryan North’s Romeo and/or Juliet in preparation for teaching it in an introductory literary class, along with the original Shakespeare play, a graphic novel, and a Romeo and Juliet board game. I’ve been thinking of ways to gamify the classroom and the reading experience, looking for texts that will engage students who are increasingly resistant to long texts, preferring instead the fragments of narrative delivered via social media. It’s occurred to me that the same students who don’t consider themselves readers will play hours of video games, tabletop games, and role-playing games, fully immersed in stories and characters. What I’m realizing is they’re drawn to these activities precisely because they’re interactive. Games ask as much from participants as they give, and this back-and-forth between creator and audience seems to be one direction that modern readers might want to travel. If an essay takes the form of a game or choose-your-own-adventure, however, can it still be nonfiction? Or does it slide into the territory of fiction, since it potentially disrupts chronology, fact, and authorial power? These questions are yet to be answered, but they’re worth exploring in the name of interactivity and reader engagement. Part of the question is where the conversation about hermit crab essays or other hybrid forms becomes a conversation about interactive gaming. Some essays, like John McPhee’s classic “The Search for Marvin Gardens”––which weaves together an exploration of Atlantic City with a Monopoly game––use games as a backdrop by which to understand the real world. Other texts, however, like Jenny Boully’s The Body: An Essay––which is composed entirely of footnotes––push into entirely new territory. The Body changes the interactivity quotient of nonfiction, since it, with its white space and elisions, requires a great deal of meaning-making from readers. Footnotes have long been a means of creating digressions and diversions within and outside of a text. In fact, they’ve served this function even in the most straightforward of scholarly texts, creating alternate paths into and through a text, as Anthony Grafton notes in The Footnote: A Curious History: “to the inexpert, footnotes look like deep root systems, solid and fixed; to the connoisseur, however, they reveal themselves as anthills, swarming with constructive and combative activity” (9). Boully pushes the essential digressiveness of footnotes to an extreme, however, with a text that exists only in the footnotes. This technique requires the reader both to imagine the primary text and to live with the unsettledness that comes from knowing there is no primary text. Another way that gamification-as-digression works is for a text to take the form of an actual game. Laura Easter’s “Solving My Way to Grandma,” for instance, uses the form of a crossword puzzle to tell the story of coming to terms with being a grandmother. As I read the essay and solved the puzzle, I felt something of the narrator’s own puzzlement, as well as her need to find answers. The experience of reading the essay––like the experience of living––is not linear, since the reader loops back and forth between the questions and the answers, ultimately arriving at something like an underlying narrative. Similarly, Caitlin Horrocks’ “The Six Answers on the Back of a Trivia Card” plays with the form of a trivia game in order to explore the ways that childhood and culture intersect. Essays-as-games are at once engaging and difficult to read. They are so digressive that they require, perhaps ironically, even more attention from the reader than a more traditionally-structured text. In fact, the reader’s experience of playing the game, solving the puzzle, or figuring out the story is just as important as what’s on the page. As Anushka Jasraj says in “Snakes & Ladders”––a segmented essay interspersed with images of dice and exploring the nature and history of games––“in most games there are a limited number of ways to begin and infinite variations once the game has commenced” (68). There are a number of other texts that play with the digressive experience of simultaneously reading and playing a game, but many of them would be categorized as fiction, rather than nonfiction. Captive, for instance, is a graphic novel/puzzle book/choose-your-own adventure text-based game that tells a story of a kidnapped daughter and the reader-as-father trying to solve the mystery. Escape rooms, too––though offering an experience rather than a written text––are related to this genre, since they involve at least a nominal storyline and at the same time immerse participants in the experience of working together to solve a series of puzzles in order bring that story to life. Many board games and role-playing games share DNA with this genre, as well, since they combine narrative with interactivity. These game and game-adjacent activities have become so central to our twenty-first century experiences that game designers by necessity dabble in philosophy as they create, shape, and populate their worlds. Here’s Jesse Schell, for instance, discussing the act of worldbuilding in his textbook, The Art of Game Design: “we filter reality through our senses and through our minds, and the consciousness we actually experience is a kind of illusion––not really reality at all. But this illusion is all that can ever be real for us, because it is us” (23). Creating the illusion of interactivity, in other words, destabilizes what we think of as real––something that writers and engaged readers have always understood. And it’s precisely in the digressive nature of interactive texts that we most experience this verisimilitude, forgetting for the moment where the text ends and we begin. To be clear, gaming is not literature, exactly, and in many ways it’s far afield of the genre of creative nonfiction. But its structure and immersive experience can provide clues about where creative nonfiction might go, and what it might become. In extreme and experimental digressions, creative nonfiction comes up against its own definition and threatens, finally, to blur into fiction. Truly immersive and interactive texts, after all, require so much reader involvement and meaning-making that the experience of interpreting the text is just as central as the text itself. But maybe we needn’t fear this blurring, since there is, still, a nonfictional element in the participation itself––whether it’s a hybrid essay, game, escape room, or choose-your-own-adventure. The reader simply has become entirely a part of the text. Ultimately, maybe it’s this kind of engagement that contemporary readers need and want. They’re constantly making their own Snapchat stories, after all––texts that at once reveal and create meaning. They’re wandering the digital fields and streets of video games, accustomed to the interplay between fictional and real-life adventures. And, perhaps most of all, they’re pulled in so many competing directions at once that they’re more likely to be engaged by a text that lets them participate in its creation than one that remains static. As readers, we have a million directions we can go at any one time, so a text that challenges us to make sense of it might, in fact, be precisely the text that most draws us in. 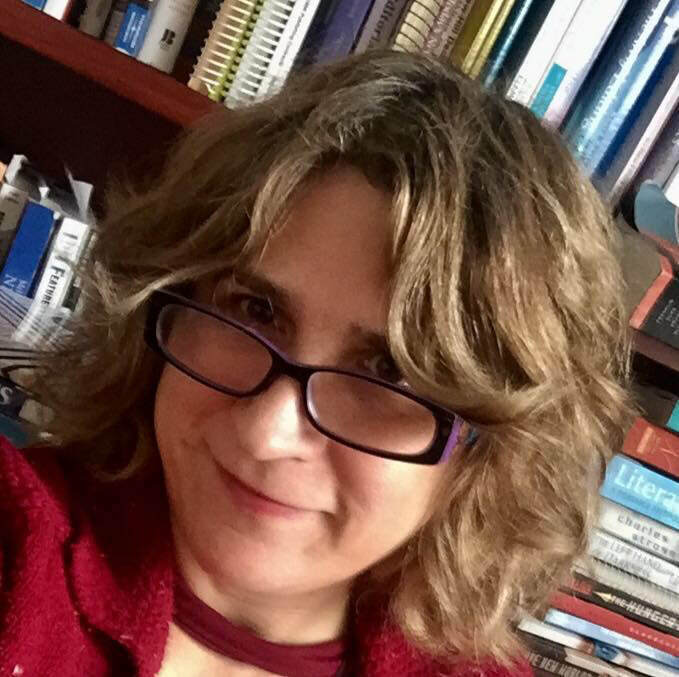 Vivian Wagner lives in New Concord, Ohio, where she's an associate professor of English at Muskingum University. Her essays and poems have appeared in Muse/A Journal, McSweeney's Internet Tendency, Slice Magazine, Forage Poetry Journal, Creative Nonfiction, and other publications. She's the author of a memoir, Fiddle: One Woman, Four Strings, and 8,000 Miles of Music (Citadel-Kensington), and three poetry collections: The Village (Aldrich Press-Kelsay Books), Making (Origami Poems Project), and Curiosities (Unsolicited Press).